Enjoy a 2 hour walking tour down South Main Art District with your fellow brunch buddies! 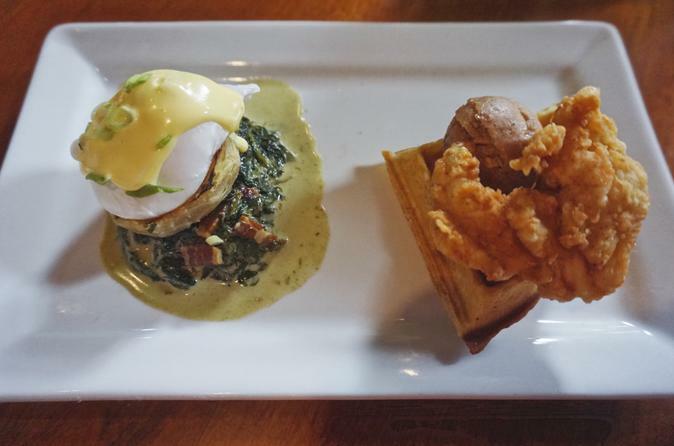 Your culinary guide will introduce you to some yummy dishes at 3 local restaurants while you sip brunch cocktails and enjoy your Sunday Funday!! Meet-up with your culinary guide in the afternoon and take a stroll through downtown Memphis. There will be a brief food tasting of brunch dishes such as shrimp and grits and cocktails such as mimosas at all three stops during the tour for patrons to enjoy the best the city has to offer. This is the Ultimate Brunch Experience!